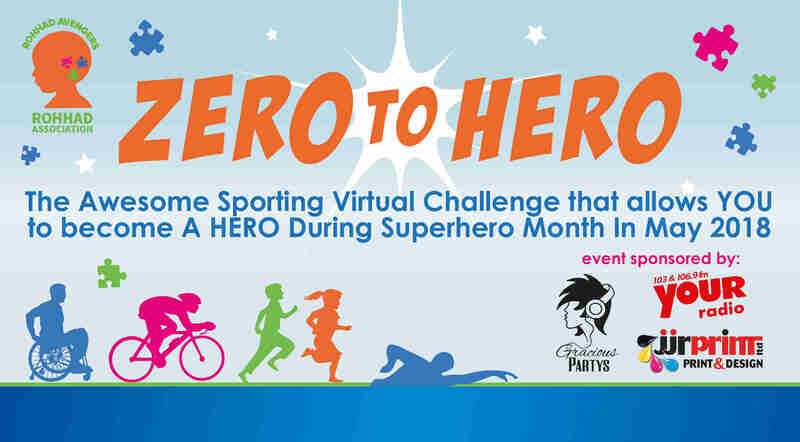 Sign up for our ZERO TO HERO Challenge and GO MAD FOR ROHHAD…. Our aim is to raise global awareness and understanding of ROHHAD as well as fund medical research which will improve treatment options and hopefully one day save the lives of children and young adults affected by the disease. 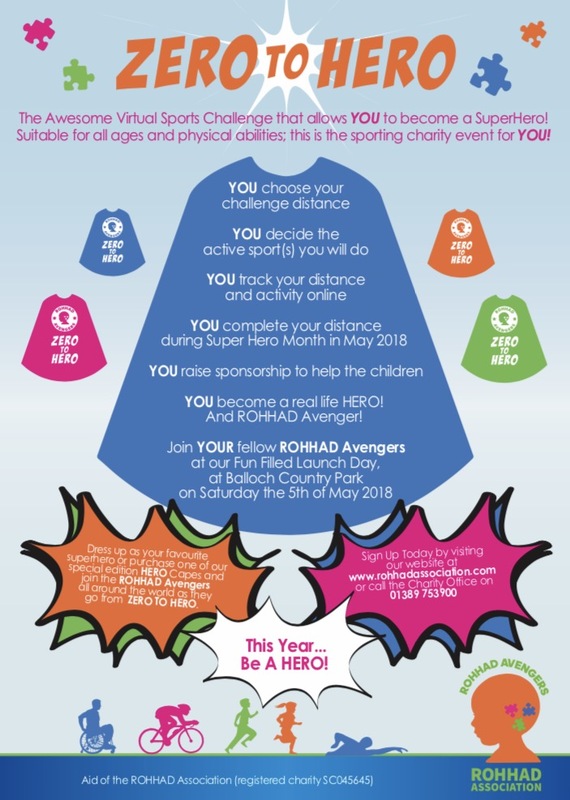 By signing up for this challenge, you will go from ZERO (your starting distance) to HERO making a very real difference to the lives of all of the children still fighting against the EVIL ROHHAD. • YOU raise sponsorship online and or via our sponsorship forms. • YOU become a real life HERO! Once you have registered online, you need to set up your online record and sponsorship page with Virgin Money Giving. 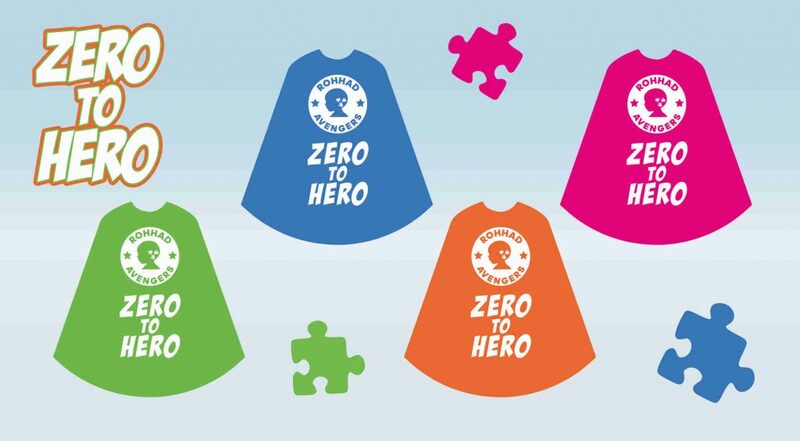 On your page you can customise it, share your own story and tell your sponsors and supporters why you are doing the ZERO TO HERO challenge. You can update your page and record your distances as you complete each part of your challenge. You can share your page on your social media and encourage others to support you along the way. Distance – Choices Between 5km and 200km for individual and family participants – Schools will choose their own collective distance. Sport Activities – Walk, Run, Swim, Cycle, Wheel (in your wheelchair), Climb – It can be a combination of activities or one activity. YOU Decide! Location – Wherever YOU want it to be, it can even be the GYM !! Sponsorship – Virgin Money Giving Page to be set up by participants to help raise funds for the charity and to record your distance and activity(s). You can purchase your capes during both registration options. *All Individual, Children, Youth and Concession registration price includes a special ZERO TO HERO ROHHAD Avenger Medal that they will receive once they have completed their challenge. 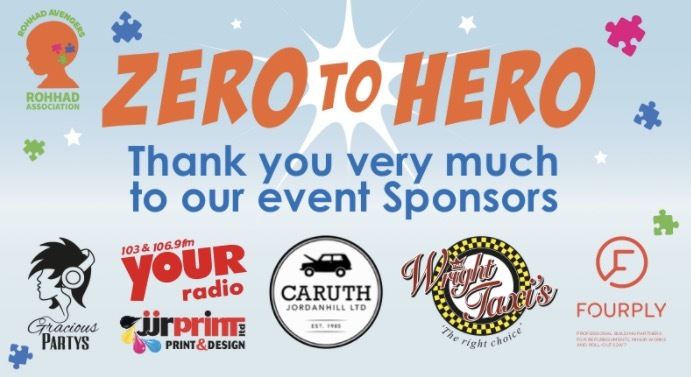 **All Schools and Youth Groups due to free registration will receive e – certificates via email and if the school raises more than £200 sponsorship they will receive a special Acrylic Award personalised with the School Name on it. If you have any questions or require any further information about ZERO TO HERO please contact us.